Agency WRG has hired three new staff members to its logistics team to meet the demand for growth with key clients. Nina Callaghan joins WRG’s London logistics office as senior project manager. She previously spent three years at Banks Sadler working as senior project manager. Brittany Wiseman has joined the agency’s Manchester office as delegate manager in the logistics team, having spent the last two year’s working for WRG on a freelance basis. Nadisha Jayatissa has taken up the newly created role of delegate manager in the London logistics team. Her appointment comes three months after she won a placement on WRG’s graduate trainee scheme. Tim Williams, director of operations at WRG, said: "As a result of recent wins and growth in our accounts, we’re expanding our logistics team with the creation of these new roles. It’s part of our wider strategy to refocus the business around our five key industry sectors and invest in our core service offer. 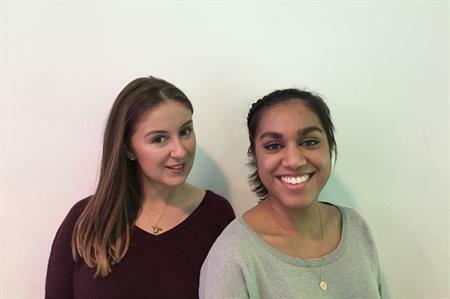 I very much welcome Nina, Brittany and Nadisha and look forward to working alongside them during their future careers at WRG."